This super resin replica Giraffe Head is realistic but will not offend! The Jolly Roger Life-size models range of Animal Heads, are a fantastic way of adding to a safari scene. 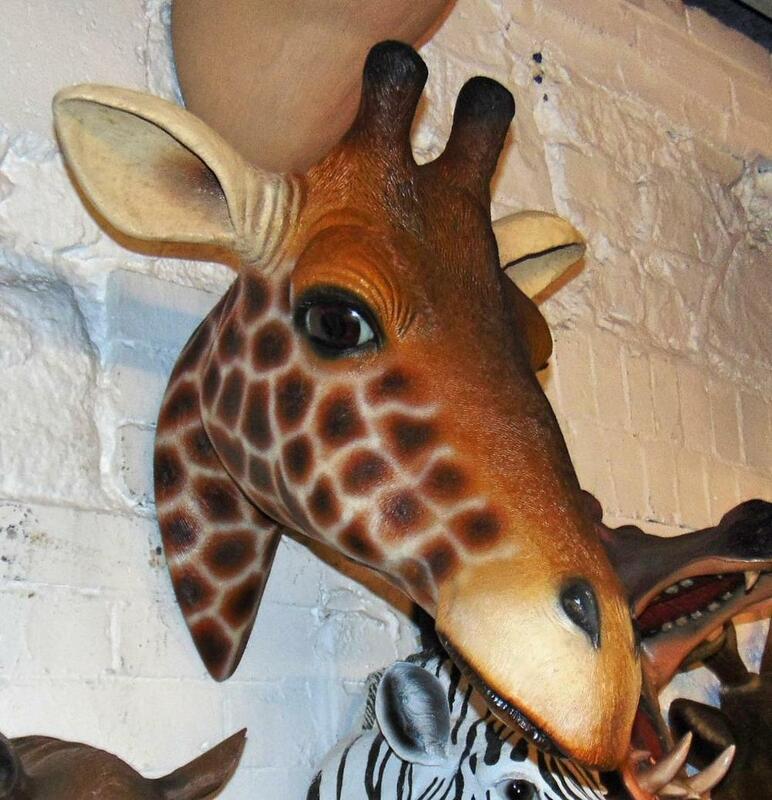 This wonderful resin model Giraffe Head mounts on the wall for any Jungle or Safari themed areas in adventure golf courses, zoos, theme-parks or to promote shops, businesses, pubs, restaurants, coffee shops. It would even look fabulous in your own home or garden.